For our loyal customers who drop in often, the BlackHorse Silver Card saves you time and money! The Silver Card is a prepaid card that gets you 10% off on all your BlackHorse purchases all year-round. Once you’ve become a Silver Card member, we can access your account in-store at any of our 4 locations. Don’t have your card or wallet on you? No problem. Simply give the barista your name and you’re good to go. Perfect stocking stuffer or gift for employees and clients. Give something special – with a little more! You’re supporting your local coffee & bakery where quality coffee, tea, and pastries are always on the menu! The BlackHorse Silver Card is the way to pay. Sign up for 10% off today. It’s that easy. 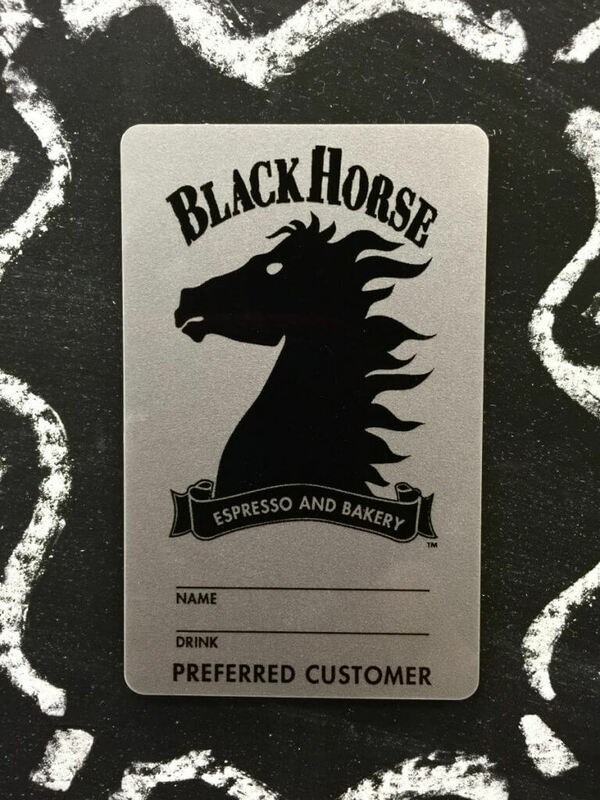 Visit any of our 4 locations to get your BlackHorse Silver Card.